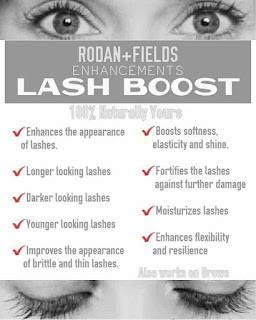 Sun Damage, Brown Spots, Uneven Skin Tone...OH My! 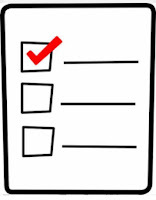 Are you one of the many people who have ever gone out in the sun and forgotten your sun screen? Well, most likely, your answer is YES! I know I have done that plenty of times! As good as my intentions are, sometimes I just forget! I have always loved laying out in the sun and getting a good tan. While I have been way more careful over the years to apply sun screen or maybe not be out quite as long, the sun damage (while not always noticeable) is there anyway! 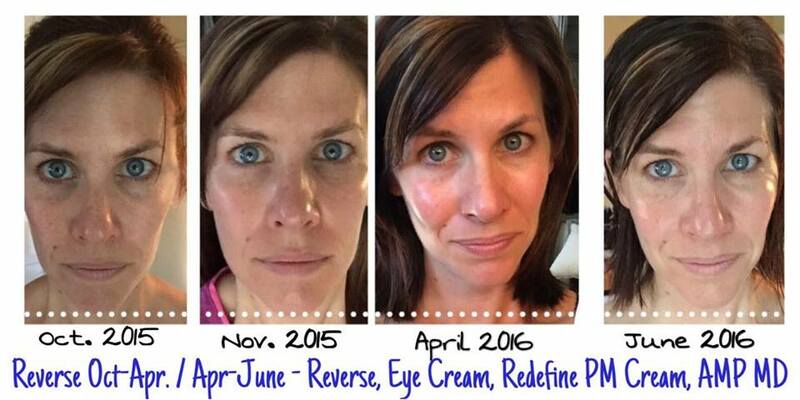 In October of 2015, I was introduced to this amazing little regimen from Rodan + Fields, called Reverse! Honestly, I really didn't know I needed it (or that my skin would even respond to it). I didn't think of myself having "bad skin". I did notice it did have some uneven tone, dullness and maybe a few brownish spots. So...I decided it was time to do something for my skin! My first experience with Reverse and washing my skin, I noticed that it felt SO soft and I was really surprised as to how it felt! After 30 days, I was already seeing a difference in the way my skin looked (and felt)! I was AMAZED!! 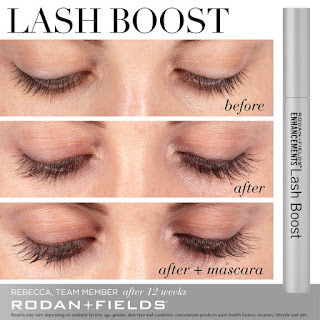 My skin was brighter, softer/smoother, had fewer brown spots and looked more even-toned! Just after 30 days!! So, I continued using it to see what it could do through the next 30 days! Much to my shock, it continued getting better and brighter! 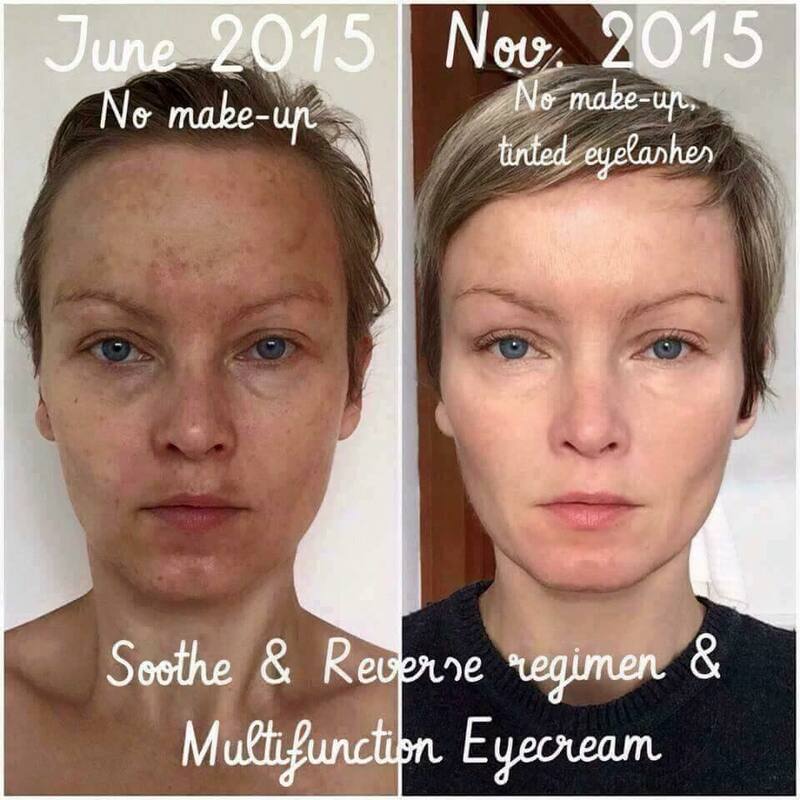 I've now been using Reverse for 8 months and continue to see a change in my skin! While I'm not quite "foundation free", I am not embarrassed to go out in public with no make up! Here's my results from October 2015 to June 2016. I know you're wondering exactly what this "Reverse" is and where you can get it, right?!?! 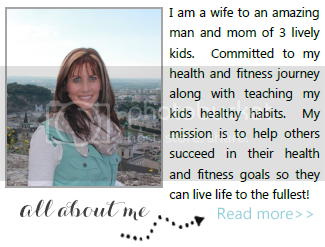 Let me tell you a little about this! 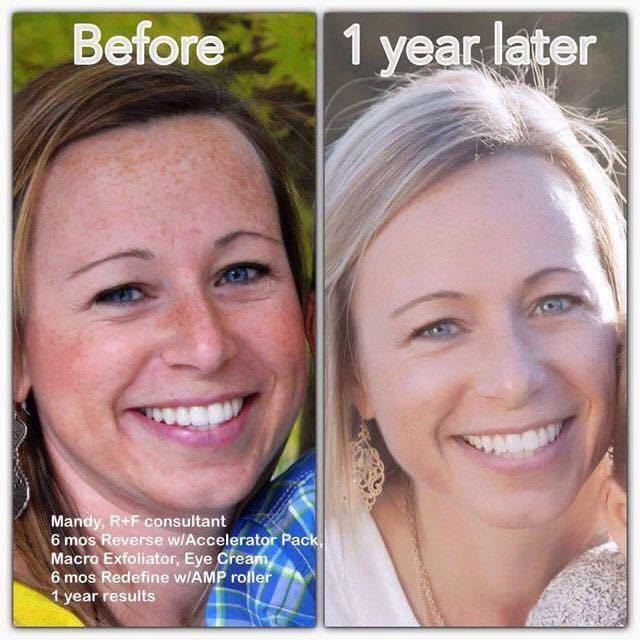 Rodan + Fields offers 4 skin care regimens to target the most common skin problems. Probably one of the most popular ones to start with is Reverse. It gives you a great exfoliation and even-toned complexion to get you started! Reverse is a 4 step regimen. 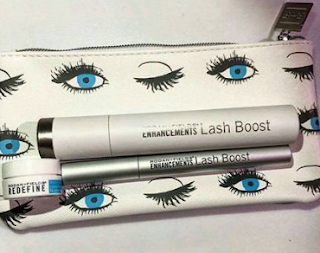 It uses a multi-med therapy system to make sure that each step in the regimen is being used to complement the other and make it more effective! 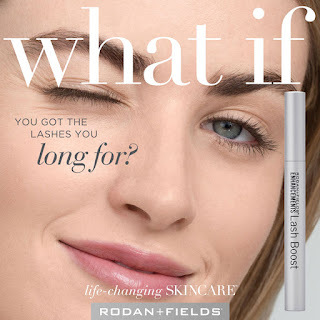 Reverse exfoliates dulling and dead skin, addresses the appearance of unwanted pigmentation, helps even and brighten overall look of skin tone, reduces the appearance of fine lines and wrinkles, and protects against further UV damage providing a long-term solution for a radiant complexion. Check out some amazing before and after pictures of other consultants and customers who have used Reverse! 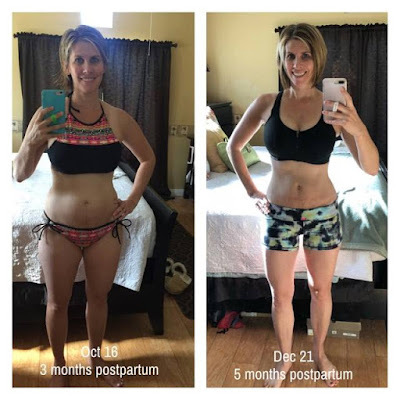 This is Jenna, here's what she has to say about her results: "6 months later, I am still LOVING my results! 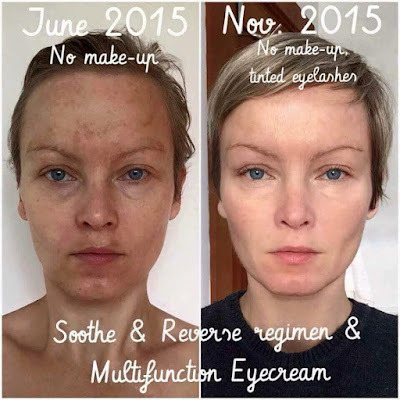 Time and consistency with R+F's clinical grade products do not disappoint! 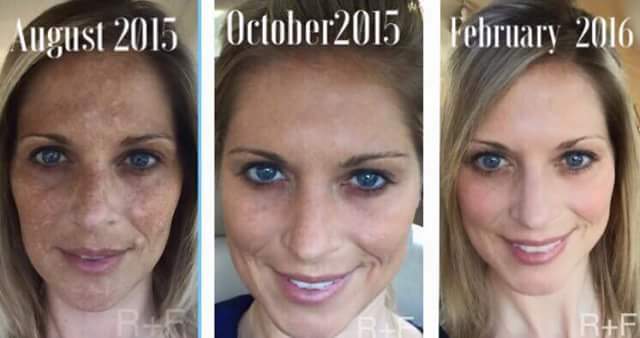 2 months of the REVERSE Regimen, followed by 2 months of the REVERSE Accelerator Pack. 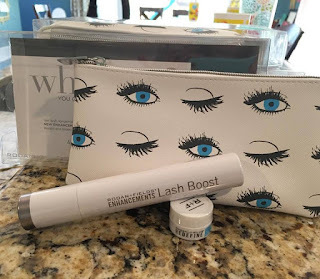 I have been using the Multifunction Eye Cream, REVERSE in the morning and REDEFINE at night since December. In addition I am using the AMP MD Roller daily and the MACRO Exfoliator once a week! I love seeing the continued improvements in my skin! It just keeps getting better and better!" Ulla suffered from "the pregnancy mask" and dark spots from too many sunny, summer days without enough sunscreen. 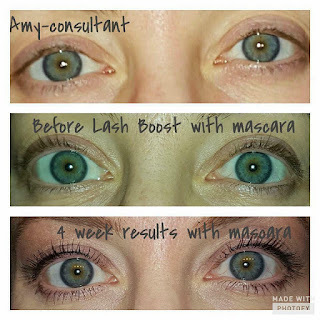 It took her only 4 months to get the gorgeous results below by using Rodan+Fields SOOTHE, REVERSE, our Multi-Function Eye Cream and the REVERSE Accelerator Pack. 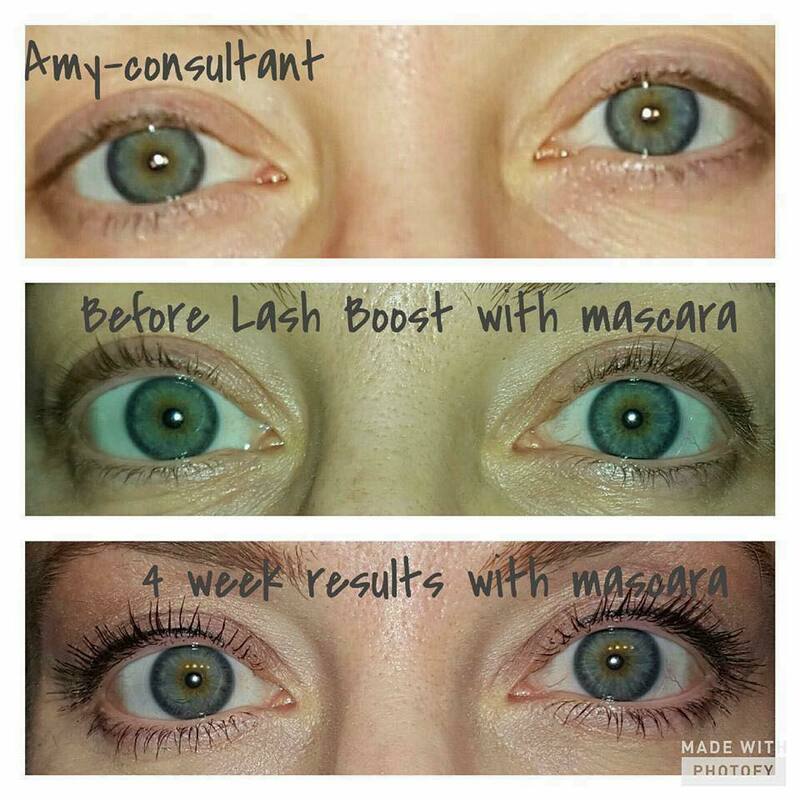 What a difference!!! 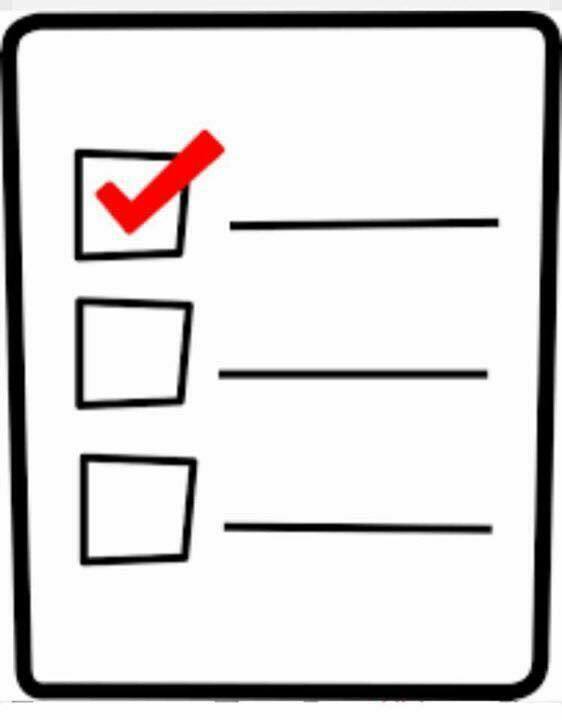 If you're looking for a change in your skin care routine and start AGING in Reverse, then fill out the form below to get your free personalized skin care recommendation!